I don’t do a lot of shots like this, but I’m happy with the way this one turned out. 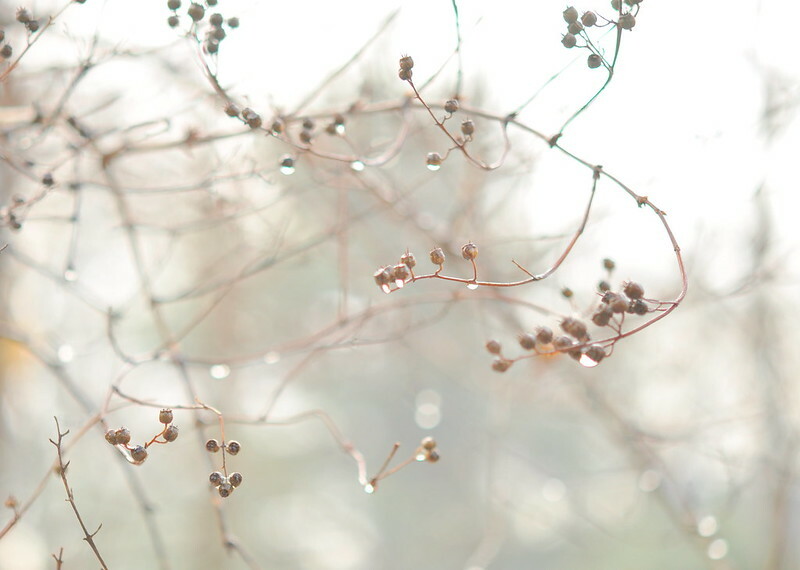 This entry was posted in photography and tagged berries, bokeh, raindrops, winter. Bookmark the permalink. Such a delicate photo. Absolutely gorgeous. I wish you great holidays and hope to read and see more from you next year….Unless this is really our last day. Caroline, thank you for this and all the very kind comments you’ve made throughout the year. I appreciate your support so much. I look forward to reading your wonderful book reviews next year too. See you next year. Happy holidays and soak up some sun for me. Forecasting rain for Christmas here. Lovely! Happy Holidays to you.